DJI has been better known for the quality of their products than the quality of their customer service. This has changed and the company has focused on increasing the quality of their customer service substantially. While you can still find accounts from disgruntled customers who were not satisfied by DJI’s customer support, their customer service has dramatically improved in recent years. We believe that there are still far more satisfied DJI customers who are just not as vocal. In fact, in our experience DJI’s customer service changes now place them among best in the world. There’s a way to get the most out of DJI’s customer service. Listed below are some of the most common issues encountered with DJI drones, and our recommended course of action so you can get exactly the level of support you need. A fly-away drone may be one of the worst things that could happen to a drone pilot. This typically happens when the connection between the drone and the controller drops out. When this happens, you will also probably lose the video feed from your drone’s onboard camera. Without any controls or reliable visual indicators of your drone’s location, encountering a fly-away can very easily lead to your drone crashing. Even if your drone is within the transmission range of your controller, loss of control can also happen because of signal interference. The result is similar to outright signal loss – the drone can end up flying away, without you being able to control it. The good news is that most drones nowadays are better equipped to handle signal loss. Should communications with the controller drop out, drones are programmed to either hover in place or activate the return-to-home (RTH) function. However, these precautionary measures don’t always kick in, which is why we still have fly-away drones. The most important thing that needs to be done when you encounter a fly-away is to recover the drone. It doesn’t matter if you only have a standard warranty on your drone or if you purchased a DJI Care Refresh policy – DJI customer support cannot help you if you cannot physically produce the drone. Locating your drone could be as simple as using the “Find my Drone” feature on the DJI GO app, but this is only useful as long as your drone’s battery is still running. Can DJI customer support still help you if you can’t find your drone? There are a few user accounts of support agents helping out by analyzing the recorded flight data. If you are still within warranty, there’s even a chance that support will conclude that the fly-away happened because of a manufacturer defect, which means you’re eligible for a refund or replacement unit. Knowing how problematic it would be if you cannot recover your drone, now would be a good time to set up some back-up recovery methods. 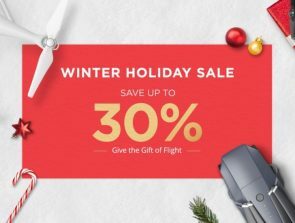 A cheap tracking device, such as the Trackimo GPS Tracker, can be attached to your drone so you can locate it even when the battery of the drone dies. You should also be calibrating your drone’s sensors regularly and set a suitable home location, just in case the RTH function is triggered. Of course, keeping your drone within visual line-of-sight (VLOS) is not only a good piece of advice but is a requirement for all drone pilots. A drone crashing into the ocean is pretty much a nightmare scenario for every single drone pilot. The situation isn’t as bleak as you think, though – as long as you can still recover the drone. DJI’s new drone insurance policy covers water damage and will provide you with a replacement unit (for a small price) provided that you can send them your water-damaged drone. Physically retrieving the drone may be the single most difficult part of recovering from a water-related accident. Some drone pilots have even gone as far as fishing for their drones in the ocean or donning SCUBA suits and diving after the drones themselves. As soon as your drone gets wet, the first parts that will most likely get damaged are the Electronic Speed Controllers (ESCs). These components are responsible for regulating the speed of propeller rotation. If you’re lucky, the ESCs would have blown like fuses as soon as they got wet. However, the best way to reduce any further damage to the electrical components of the drone is to remove the drone’s power supply – the battery. Any battery that has been submerged in water for a long time is probably worthless. In the case of your drone, the terminals of the Li-Po battery very likely have undergone a good amount of corrosion. This not only makes them useless but also dangerous. The best course of action is to bring any water-damaged battery to your nearest battery disposal facility. There’s one thing worse than damaging your drone with water, and that’s damaging your drone with seawater. The high salt concentration of seawater makes it extremely corrosive. The salt particles will also tend to accumulate on the internal components of your drone once the seawater evaporates, which will wreak havoc on the drone’s electrical connections. It sounds counterintuitive, but the best thing to do if you crash your drone in seawater is to rinse it off with fresh, preferably de-ionized, water. Hopefully, this will flush out any traces of seawater in the drone and prevent heavier damage. If your drone is still within standard warranty, then the last thing you would want to do is to open it up and void the warranty. Although the standard warranty normally does not cover water damage, there is still the slightest chance that flight data will show that the crash did not happen due to pilot error. We recommend just being patient and letting your drone dry naturally while you get in touch with DJI support. The bad news is that a water-damaged drone is basically hopeless. It doesn’t normally get repaired, and the water damage of its internal parts means that reusing them can be very risky. This is where having DJI Care Refresh becomes a life-saver. 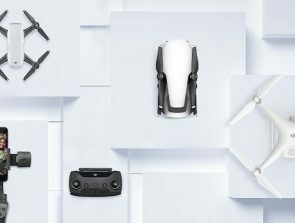 With DJI Care Refresh, DJI will offer you the option of receiving a refurbished drone for a small fraction of the price of a brand-new drone. You might assume that a refurbished drone cannot perform as well as a brand-new one, but DJI puts a lot of effort into replacing the parts of their refurbished drones and testing them as if they were new drones. 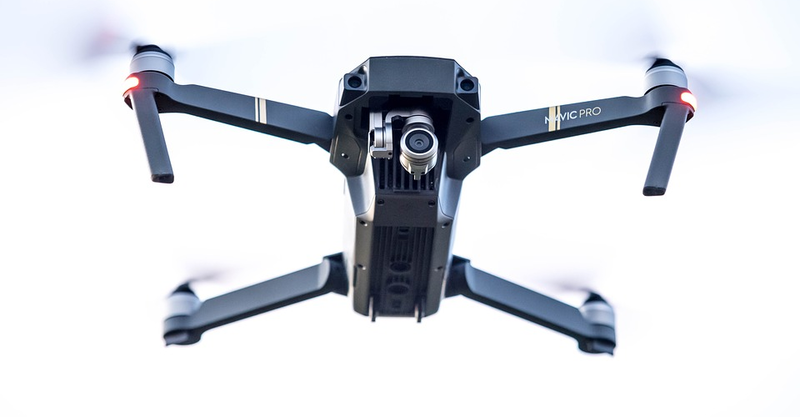 We would even go as far as saying that refurbished drones receive more attention from DJI’ technicians and engineers than the brand-new drones that come right off the production line. If you can provide DJI the flight logs that lead up to the water crash, you can have them analyzed by DJI’s experts so that you can know what exactly caused the crash. If the crash was deemed to have been caused by a manufacturer defect, then you’re in luck: you will not have to pay or use up the replacement provision of your DJI Care Refresh to receive a new (or refurbished) drone. We know this is starting to sound repetitive, but you absolutely must recover your drone from any sort of crash to get the best outcome from customer support. As long as you’re flying within VLOS and not over a body of water, this shouldn’t be much of a problem. This also gives you a chance to take stock of the damage that your drone has suffered: is it still powering on? Has there been a loss in controller responsiveness? Can the drone still hover in place? 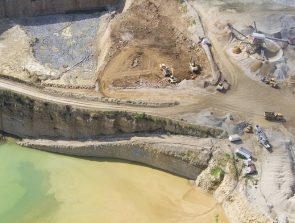 Crashing your drone can be a particularly worrisome and stressful situation, so we can understand how you would want it to be looked at by an expert as quickly as possible. If you would rather bring the drone to the nearest DJI service center rather than mail it to DJI’s main facility in China, then you can choose one from the DJI website’s handy list of service centers. Take note that there is a huge distinction between an “Authorized Service Center” and a “Recommended Service Center.” While having your product repaired in an authorized service center will mean being able to retain your drone’s original warranty, the same cannot be said for a recommended service center. If there isn’t a service center near you or if you prefer sending in your drone to DJI, then you can simply contact DJI’s online support channels and have them start a case for you. This process is a little more involved, as you will probably need to provide DJI support with proof of purchase of the drone, your drone’s serial number, a detailed video or photo documenting the problem you are encountering, and the flight logs of your drone. Naturally, you will also need to provide a detailed account of the crash. A lot of times, customers who complain of having to go through long back-and-forth email exchanges with DJI support simply fail to provide all these requirements at the onset. By preparing all these files and documents, you are merely helping yourself so that DJI customer support can assist you as quickly as possible. In any case, your correspondence with DJI support will probably culminate in them sending you a shipping label that you need to print and attach to your drone before you send it out to DJI. Packing and labeling the drone will be your responsibility, although DJI does provide a very good set of instructions. Wrap the drone well with bubble wrap, place it inside a durable box, and mark the box both with the shipping label and the corresponding Case Number. Failure to do so may result in DJI rejecting your package. Once DJI has received your package, they will assess the damage of your drone and send you an invoice with the costs of the repairs that they need to do. Repairs will only proceed once you sign off on the expenses. Take note that the terms of the DJI standard warranty and DJI Care Refresh allows them to provide you a refurbished drone in place of the original one you sent in. DJI spends considerable time testing refurbished drones and they are equivalent to new drones in terms of reliability, performance, and manufacturing standards. As with all modern computer systems, DJI drones and accessories regularly receive firmware updates designed to optimize their performances. However, not being able to download and install firmware updates can be particularly problematic for your drone. Before you get in touch with DJI customer support regarding this problem, it’s worth your time to take a step back and try to determine why such a problem has come up. Take note that firmware updates are mostly done through the DJI GO app, which needs an internet connection and needs to be connected to your drone. The drone also needs to be powered up to be able to download and install the updates. From the description of the setup, it’s easy to identify a couple of areas where things can go wrong. Your drone could lose power in the middle of the update, your internet connection could drop off, there might not be enough storage space in your SD card, or your drone accessory (such as the battery or gimbal) might not be connected to the drone. By doing your due diligence, you could potentially save yourself from a frustrating experience. If you’ve looked high and low and still cannot identify the source of your problem, then it’s time to contact DJI’s online support. Make sure to be prepared with all the usual information such as your drone model, serial number, the firmware version you are trying to download, and the steps you have taken so far. Getting in touch with DJI customer support for basic technical questions does not have to be a frustrating experience. DJI has made great strides in the past couple of years to improve their support team to better handle technical issues in a prompt and precise manner. One of the best things about DJI customer support is that there are a lot of ways that customers can get in touch with them. Aside from the usual online chat support thru the DJI website, the customer support agents will also get back to you if you send a direct message to DJI’s Facebook page or post a thread in the official DJI forum. If you need to write a very detailed account of your circumstance, then you might be better off sending an email. Of course, you still have the option of doing the time-honored tradition of picking up a phone and dialing DJI’s service hotline. While it’s true that DJI customer service has not been perfect, we still appreciate how much it has improved in recent years. 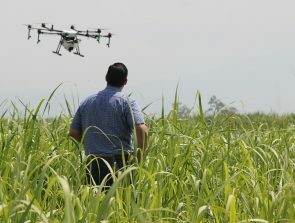 More than just providing after-sales support, DJI has also focused on educating their customer base by providing detailed tutorials and instructional videos. Ultimately, it is better for everyone if drone owners were equipped with enough knowledge to either address their own problems or to avoid issues with their drones altogether. Alas, even the best and most careful drone pilots can run into forces beyond their control. In case you get into a drone fly-away or a crash into water, the most important thing you need to do is to retrieve the drone. This can be a tall order at times, but it’s the best way for you to assure that DJI customer support can help you. In many cases, not being able to present the drone physically to DJI can make you ineligible for warranty claims or the replacement drone benefit under DJI Care Refresh. With this guide, our hope is for drone owners to take the steps that will ensure that they get the best experience out of DJI customer support. Many times, we have noticed that it is the lack of useful information from the drone owner that is keeping customer support from moving forward with the case. By helping them do their jobs, you are also helping yourself in getting your problem resolved.